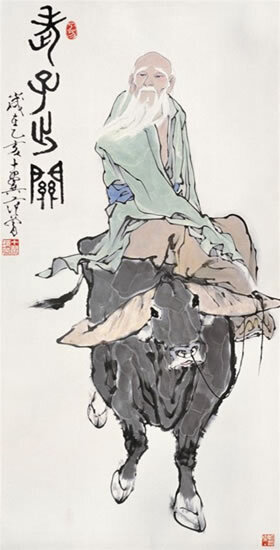 Lao-Tzu and Chuang-Tzu, living at a time of social disorder and great religious skepticism, developed the notion of the Dao (Tao - way, or path dào 道) as the origin of all creation and the force, unknowable in its essence but observable in its manifestations, that lies behind the functioning's and changes of the natural world. 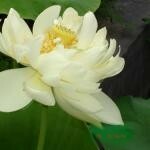 They saw in Dao and nature the basis of a spiritual approach to living. This, they believed, was the answer to the burning issue of the day: what is the basis of a stable, unified, and enduring social order? The order and harmony of nature, they said, was far more stable and enduring than either the power of the state or the civilized institutions constructed by human learning. Healthy human life could flourish only in accord with Dao which is a natural, simple, and free-and-easy approach to life. 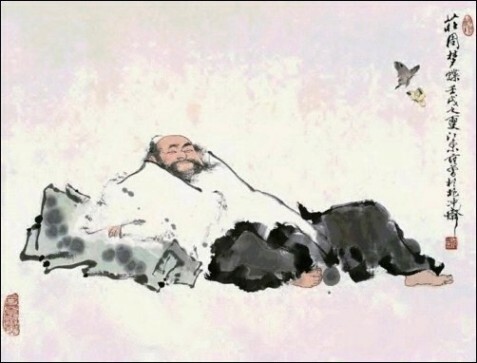 The early Taoists taught the art of living and surviving by conforming to the natural way of things; they called their approach to action wu wei (no-action wú wéi 无为), action modeled on nature. Their sages were wise, but not in the way the Confucian teacher was wise, learned and a moral paragon. Chuang-Tzu's sages were often artisans, butchers or woodcarvers. The lowly artisans understood the secret of art and the art of living. To be skillful and creative, they had to have inner spiritual concentration and put aside concern with externals, such as monetary rewards, fame, and praise. Art, like life, followed the creative path of nature, not the values of human society. Lao-Tzu and Chuang-Tzu had reinterpreted the ancient nature worship and esoteric arts, but they crept back into the tradition as ways of using knowledge of the Dao to enhance and prolong life. Lao-Tzu was a philosopher of ancient China and is a central figure in Taoism (also spelled "Daoism"). Lao-Tzu literally means "Old Master" and is generally considered an honorific. Lao-Tzu is revered as a god in religious forms of Taoism. According to Chinese tradition, Lao-Tzu lived in the 6th century BC. Historians variously contend that Lao-Tzu is a synthesis of multiple historical figures, that he is a mythical figure, or that he actually lived in the 4th century BC, concurrent with the Hundred Schools of Thought (bǎi jiā zhēng míng 百家争鸣) and Warring States Period (zhàn guó shí qī 战国时期). A central figure in Chinese culture, both nobility and common people claim Lao-Tzu in their lineage. Throughout history, Lao-Tzu's work was embraced by various anti-authoritarian movements. Lao-Tzu's magnum opus, the Daodejing, is one of the most significant treatises in Chinese cosmogony. As with most other ancient Chinese philosophers, Lao-Tzu often explains his ideas by way of paradox, analogy, appropriation of ancient sayings, repetition, symmetry, rhyme, and rhythm. The Daodejing, often called simply the Lao-Tzu after its reputed author, describes the Dao (or Tao) as the mystical source and ideal of all existence: it is unseen, but not transcendent, immensely powerful yet supremely humble, being the root of all things. 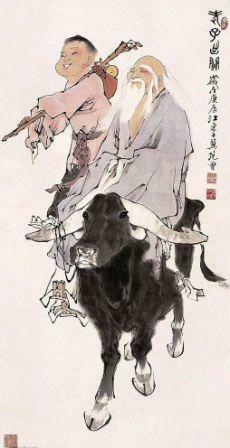 The Tao Te Ching, or Daodejing, is widely considered to be the most influential Taoist text. It is a foundational scripture of central importance in Taoism. 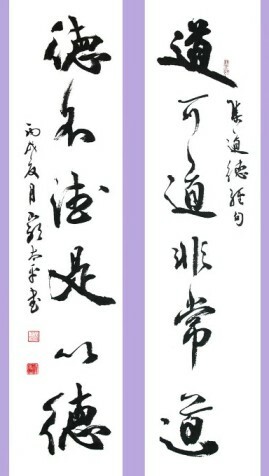 It has been used as a ritual text throughout the history of religious Taoism. it receives the different names. Where the Mystery is the deepest is the gate of all that is subtle and wonderful. According to the Daodejing, humans have no special place within the Dao, being just one of its many ("ten thousand") manifestations. People have desires and free will (and thus are able to alter their own nature). Many act "unnaturally", upsetting the natural balance of the Dao. The Daodejing intends to lead students to a "return" to their natural state, in harmony with Dao. Language and conventional wisdom are critically assessed. Taoism views them as inherently biased and artificial, widely using paradoxes to sharpen the point. that the musical notes and tones become harmonious through the relation of one with another; and that being before and behind give the idea of one following another. It’s this that makes the power not cease to be. Wu wei, literally "non-action" or "not acting", is a central concept of the Daodejing. The concept of wu wei is very complex and reflected in the words' multiple meanings, even in English translation; it can mean "not doing anything", "not forcing", "not acting" in the theatrical sense, "creating nothingness", "acting spontaneously", and "flowing with the moment." 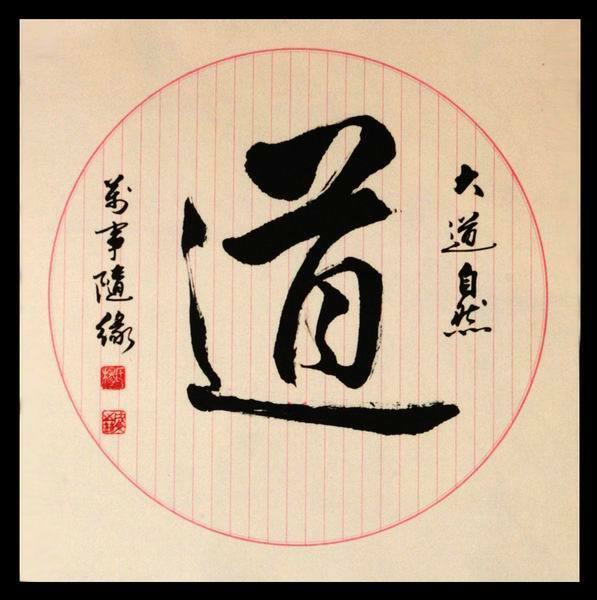 It is a concept used to explain nature, or harmony with the Dao. It includes the concepts that value distinctions are ideological and seeing ambition of all sorts as originating from the same source. Lao-Tzu used the term broadly with simplicity and humility as key virtues, often in contrast to selfish action. On a political level, it means avoiding such circumstances as war, harsh laws and heavy taxes. 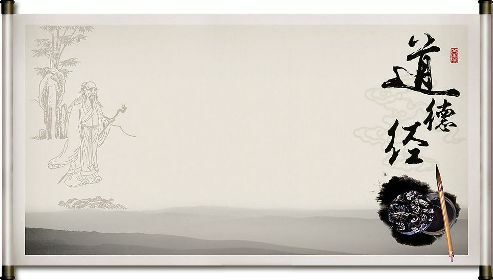 Some Taoists see a connection between wu wei and esoteric practices, such as the "sitting in oblivion" (emptying the mind of bodily awareness and thought) found in the Chuang-Tzu. Chuang-Tzu was an influential Chinese philosopher who lived around the 4th century BCE during the Warring States Period, corresponding to the Hundred Schools of Thought philosophical summit of Chinese thought. 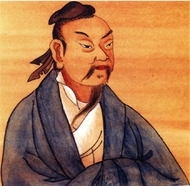 Chuang-Tzu, widely considered the intellectual and spiritual successor of Lao-Tzu, had a notable impact on Chinese literature, culture and spirituality. In general, Chuang-Tzu's philosophy is mildly skeptical, arguing that life is limited and the amount of things to know is unlimited. To use the limited to pursue the unlimited, he said, was foolish. Our language and cognition in general presuppose a Dao to which each of us is committed by our separate past—our paths. Consequently, we should be aware that our most carefully considered conclusions might seem misguided had we experienced a different past. "Our heart-minds are completed along with our bodies." Natural dispositions to behavior combine with acquired ones—including dispositions to use names of things, to approve/disapprove based on those names and to act in accordance to the embodied standards. Thinking about and choosing our next step down our Dao or path is conditioned by this unique set of natural acquisitions. Chuang-Tzu and Huizi were strolling along the dam of the Hao Waterfall when Chuang-Tzu said, "See how the minnows come out and dart around where they please! That's what fish really enjoy! "Huizi said, "You're not a fish — how do you know what fish enjoy?" Chuang-Tzu said, "You're not me, so how do you know I don't know what fish enjoy?" Huizi said, "I'm not you, so I certainly don't know what you know. On the other hand, you're certainly not a fish — so that still proves you don't know what fish enjoy!" Chuang-Tzu said, "Let's go back to your original question, please. You asked me how I know what fish enjoy — so you already knew I knew it when you asked the question. I know it by standing here beside the Hao."